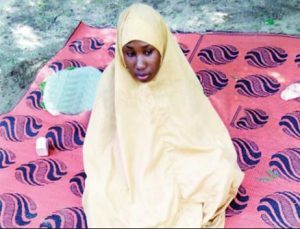 An audio recording and a photograph of kidnapped Christian school girl Leah Sharibu were published by the Nigerian online newspaper “The Cable” on August 27. In the 35-second recording Leah can be heard speaking calmly in Hausa (her mother tongue), asking for her release. The audio file was accompanied by a photograph of Leah, the first proof of life since her abduction, which shows her wearing a light brown hijab and sitting on a mat. A spokesman for President Muhammadu Buhari told CNN that intelligence personnel are analysing the voice recording, and that officials would issue a statement after studying it. There is hope that the proofs of life were a requirement for negotiation efforts between the government and Islamic militants to be renewed on Leah’s behalf. Leah is one of a group of 110 girls abducted by Boko Haram in February 2018 from their school in Dapchi, Yobe state in northeast Nigeria. Five girls died while in detention, but the other 104 girls are Muslims and were released in March. 15-year-old Leah is a Christian and the militants said they would only release her if she converted to Islam, which she refused. 112 of the Chibok girls who were abducted from their school by Boko Haram in April 2014 are also still unaccounted for. The terrorists have kidnapped thousands of Nigerians in recent years.